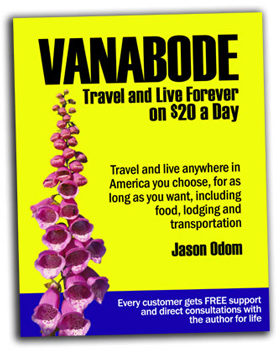 Vanabode travel gives you a life of freedom and adventure...done cheaply. The laid back lifestyle of Vanabode travel appeals to more and more people looking to live cheaply, and have a freedom life filled with adventure and new destinations. They are selling their homes, banking most of the profit, purchasing an older van to outfit, and pointing it down the road to exciting new locales that offer an easy pace. 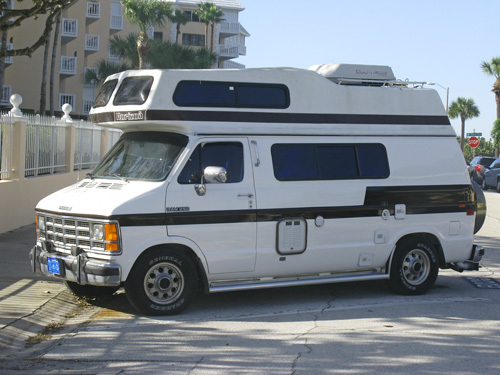 Some are doing it in large RV's, some pull a small trailer, but many like the convenience of a van. 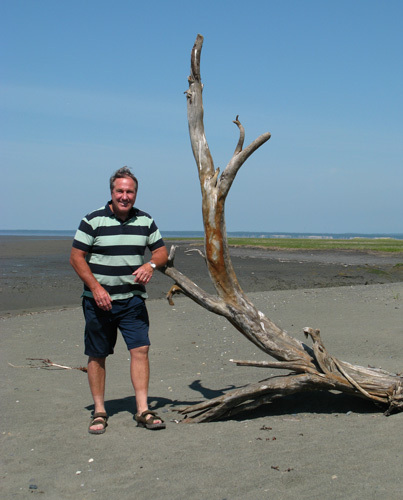 I have done this on short trips to other beaches here in the Southeast, but my best friend from college, Sherm Davey, has been doing it for several years. He made the decision when he found getting away from his mortgage, and all the accompanying bills would save him $2000+ each month. He's been living the Vanabode life since his retirement from teaching, and loving every minute of it. Sherm's travel plans are simple...he follows temperate weather. "I got turned on to this lifestyle when I bought an eBook called Vanabode - Travel and Live Forever on $20 a Day. The guy who wrote it, Jason Odom, really had some great tips on leading a laid-back travel lifestyle." "Sure, it may not be the most grammatically accurate book in the genre, but it really makes the wheels turn upstairs." "It's really pretty simple," says Sherm, "I don't like to be real hot and I don't like to be real cold. I like to be outdoors as much as possible, but I want to be comfortable. I like to workout, run, and read outside. I don't like to sweat, or wear a bunch of clothes to keep warm." In the summer, Sherm spends a lot of the months in western towns above 7000'. 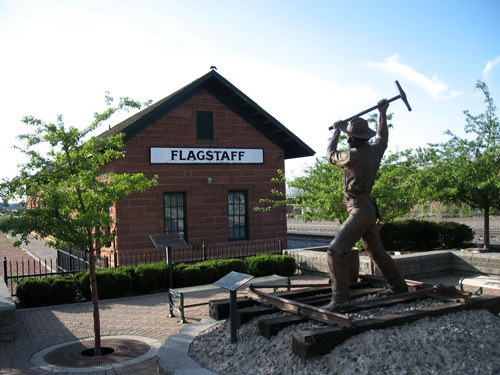 In the past several years, he's stayed in Taos, NM...Flagstaff, AZ...and Monument, CO to name a few. 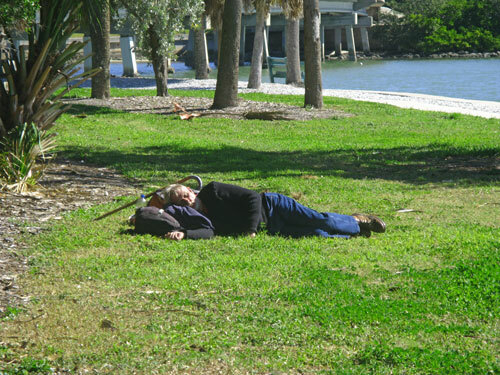 In the winter, he comes down here to Florida, camping in various state and National Parks. 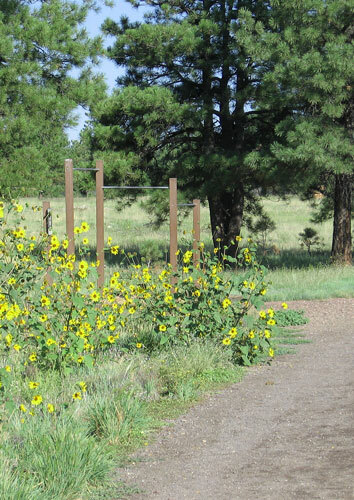 "I purchased an America The Beautiful Park Pass, and it makes a huge difference in park fees." "I travel to areas that are scenic, have a rich history that I can become immersed in, and handy shower facilities. I want beauty and I want to be clean." "I made my van as efficient as I could, with good storage, and water system. I have a comfortable bed. I took out the front passenger seat. 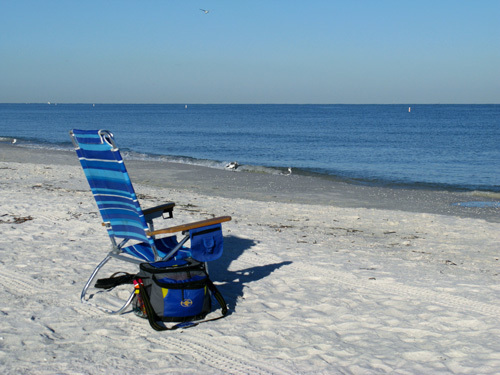 I carry a mountain bike so I can ride into town from whatever park I camp in, and an aluminum beach chair to read in." "Taking time to plan your van living quarters reduces stress, clutter, and wasting money," said Sherm. "I took a few months. I asked people who travel, and motor home sales reps a lot of questions." The one aspect of Vanabode living that Sherm is adamant about, is setting high standards of behavior and appearance for yourself. "Look," he said, "I'll be honest with you...most of the population who live in homes see guys who live in vans as smelly, unkempt homeless dudes who are looking to rip you off." "It's inaccurate, but that is their perception...and perception is reality, right?" "I hold myself to high standards of conduct, dress, and hygiene. I always shower at least once per day...sometimes twice. I brush my teeth and use mouthwash after each meal or snack. I wear collared polo shirts in town. And, I keep my van clean and vacuumed each week, and I wash my sheets each week. NO exceptions." "Sure Vanabode travel is all about a slow pace, doing relaxing activities, and embracing the laid-back freedom life...but you can do all of that while you are clean and behaving in a humble manner." Also, Sherm says it is best to follow all rules. He does NOT try to sneak into hotel swimming pools, connect an electric line to the outside outlet of a church, dig for food in back of fast food restaurants, or spend the night in school parking lots. "Actually, one of the first things that is good to do is visit the local police department and find out exactly what their city ordinances are about spending the night in a vehicle within the city limits." "I always want people to see me as a traveler...not a bum." Vanabode travel affords you the opportunity to spend a lot of time in nice communities. The National Park system offers unparalleled natural beauty. Just taking time to be at one with the outdoors, and to give thanks at all times helps to elevate your spirituality. The relaxed pace of the Vanabode lifestyle is unmatched. "I never get tired of seeing the beauty of America," said Sherm. "Fortunately, I started a little online business where I can share my photos and travel experiences. I only make between $1200 - $1500 dollars per month, but that is a lot of extra cash for a guy who lives as cheaply as me." "I am blessed because I travel richly, but I live cheaply," Sherm said. "I am continually grateful that I can live the Vanabode life and see so much beauty." 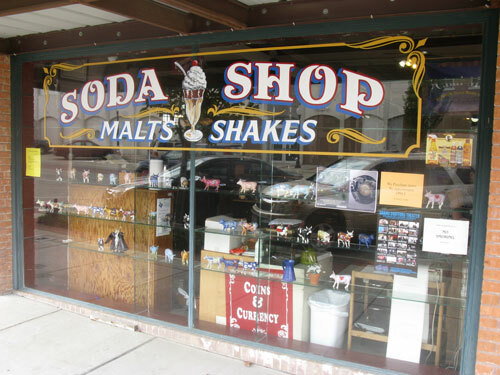 "For instance," he said, "Checkout this old soda fountain I discovered in Bryan, Texas. It was like going back to the 1940's or 1950's. What a great experience. I spent over two hours in there just looking at all of the unique items." "I would have never seen this if I had not been following a Vanabode travel itinerary." Just because Vanabode traveling is so laid-back doesn't mean you take a cavalier attitude toward your diet and personal fitness. Since you will now have hours of unstructured time, you can concentrate on getting the body you always wanted. "One of the things that really concerned me was how soft and flabby a lot of travelers looked," said Sherm. "I made a commitment that I would take the opposite approach and see how fit I could look instead." Boy, did he get it right. I could believe how ripped he looked since I'd seen him a couple of years ago. "Have you entered every 5K, and hit every weightroom between here and you old house?" I asked. "Not even close," Sherm said. 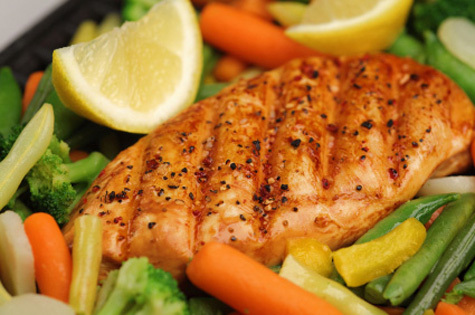 "The biggest change I have made is going to a Paleo diet. I just refuse to eat sugar foods or processed foods, anymore. I live on all natural foods like green vegetables, nuts, eggs, a little fruit, and meat." "I purchased an eBook called The Dark Side Of Fat Loss...all about eating Paleo...and I follow it to the letter. Trust me, even I am surprised at seeing my abs so easily after all these years." Holy cow! His weight (at 5'9") has dropped from about 192 lbs. to 170 lbs...but he is so defined, Sherm looks like 40-year old body builder. He actually looks thicker than when he was at 190. "My waist dropped from 35 inches, to about 31 inches," he said, "And it stays there. I never count calories, I just eat until I feel full." Vanabode travel puts you intimately in touch with Mother Nature, and it is a lot more fun to workout when you are breathing clean air. "My workouts pretty much revolve around pull-ups, push-ups, dips when I can find some parallel bars, air squats, and burpees. One thing I did was purchase a 45 lbs kettlebell to take along. I use it in a variety of exercises, including having it tied to a rope around my waist while I do pull-ups." "Many parks and forests have exercise stations along their trails," Sherm said. "If not, I'll drive into the city park for a workout...or do a few pull ups at a gym with my Silver Sneaker membership before I get a shower." 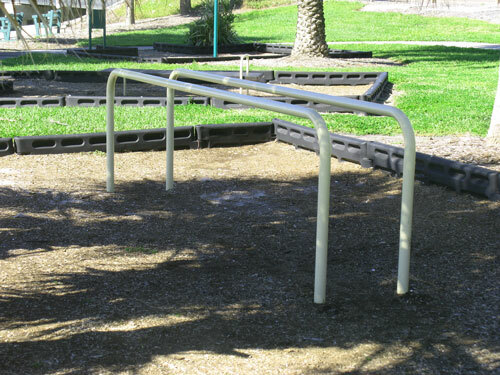 "Dip bars are harder to find, but there are always benches, or tree stumps, or something to elevate your feet and do push-ups." There is always some place to run. 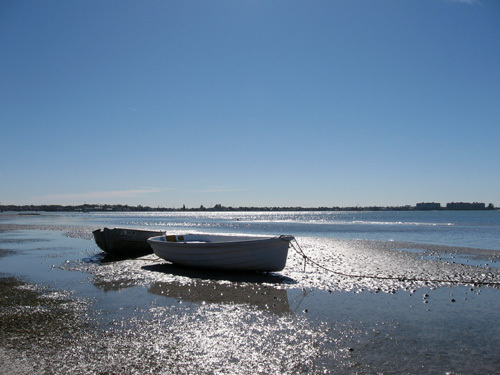 The beach and forest trails provide exceptional scenery. We both thought about all the neighborhood routes we ran before we retired. Now, after so many years of running in beautiful settings, my system would probably shut down if I was forced to run in a subdivision. Sherm said the same thing. 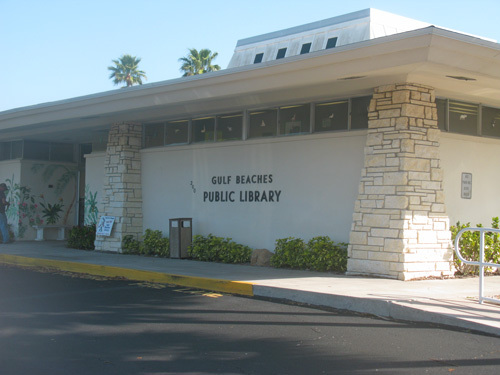 Every city you come through will have a library. I always make sure I stop in to read the local paper to see about any interesting events coming up (fairs, church bbq's, a 5K race, etc) and to buy cheap used paperback books. Some places even have local museums that you can tour for a couple of dollars. Set aside at least an hour a day to do some reading. Said Sherm, "I like to read a lot of westerns and Robert Crais-type stories, but I also mix in non-fiction, like some self-help or spirituality so that I can strive to be the best person possible." 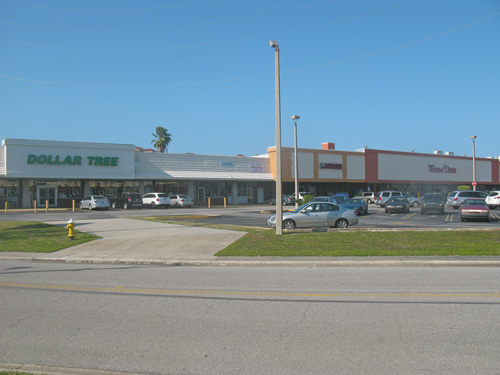 "I always look for little strip malls that include a "dollar store." This is the cheapest place to stock up on supplies like paper towels, baby wipes, shaving supplies, and soap. There is usually a grocery store where I can purchase whatever meat is on sale," said Sherm. Both of us find the nearest "farmer's market" to purchase cheap fresh vegetables and fruit. Thank you for reading through to the end. Living the freedom life in beautiful, relaxing settings that can change every month is a stress-free way to go. I hope this has helped you learn a little about Vanabode travel. CLICK HERE to discover more excellent tips on living the Vanabode lifestyle.